The week began on the Saturday. It ran through to the following Friday. And it involved life on and off the Isle of Tiree. An appointment in Glasgow meant leaving the island. We decided to travel outward by the ferry to Oban. 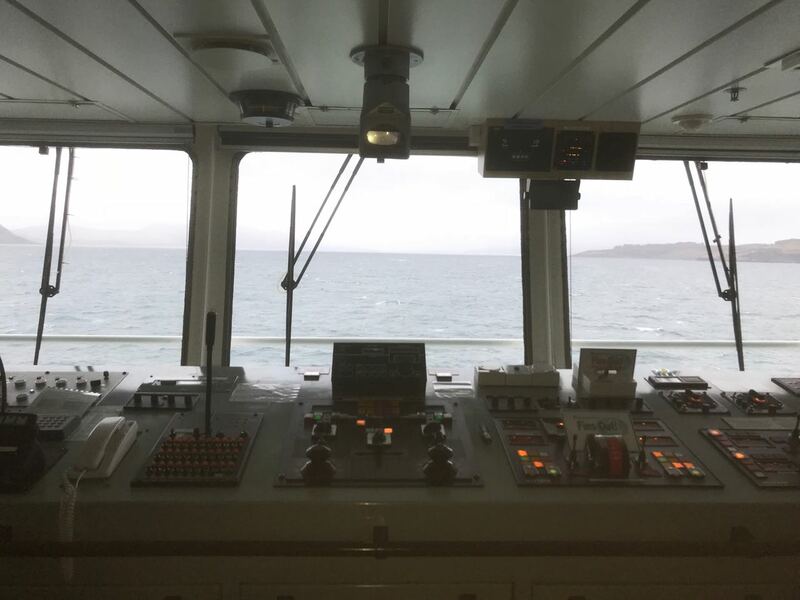 The weather for the crossing was damp and dull. But there was nothing dull about the crossing. We settled down in the Coffee Cabin. This accommodation is towards the stern of the ferry. 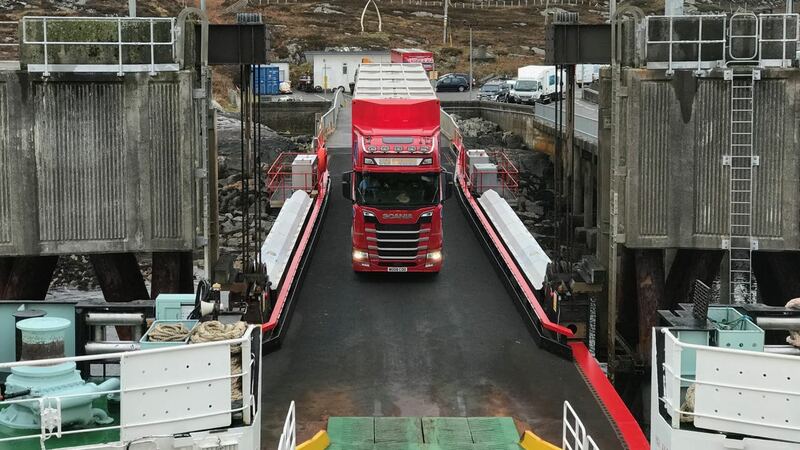 We usually like to watch the vessel berth at the pier on Coll. As the ferry made its approach a member of the crew came to us. He had an invitation from the ship’s master to come up to the bridge. The crew member said that he would come for us just after the ferry left Coll. It could hardly be contained! 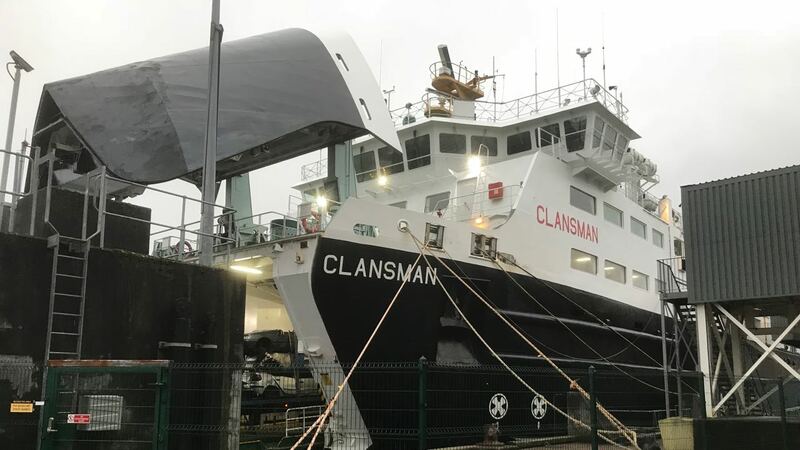 We had been invited to the bridge of the Mighty Clansman. 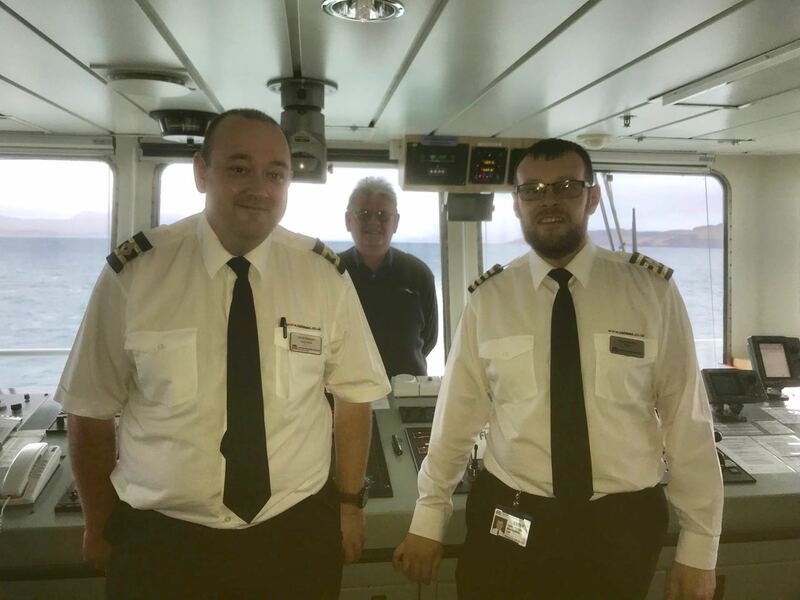 Our sincere thanks to the ship’s master Chris MacKinnon from the Isle of Skye. What an enlightening and informative tour we were given of the bridge. We have a greater understanding of the challenges the captain and his crew face. At both Coll and Tiree wind, swell and the location of the piers can all be challenging. 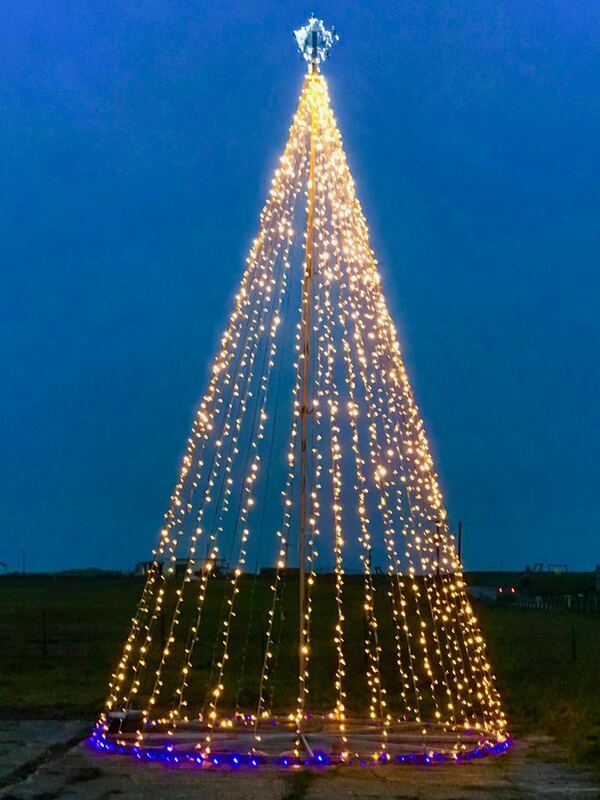 Tiree has its own very special Christmas tree built to withstand the gales. Several of the houses on the island have outside lights and decorations. But it was a special treat to see that Glasgow Loves Christmas. Buchanan Street was tastefully decorated. 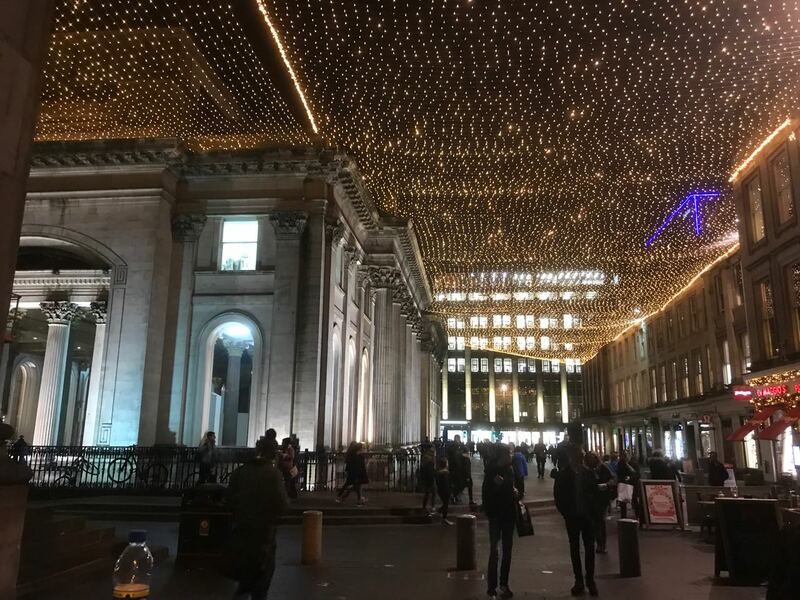 Gordon Street and Exchange Square were under a blanket of light. Glasgow’s Central Station was interesting. The four faces of the clock were decorated. But at the very heart of it all was a nativity scene. In a so called secular age a reminder of the reason for the season. George Square was most festive, with market, fair ground rides and lights. For a festive touch it was even threatening to snow. Or perhaps it was just light rain! There is no ferry in the Winter on a Wednesday. So to avoid costly hotel stays we decided to fly home. 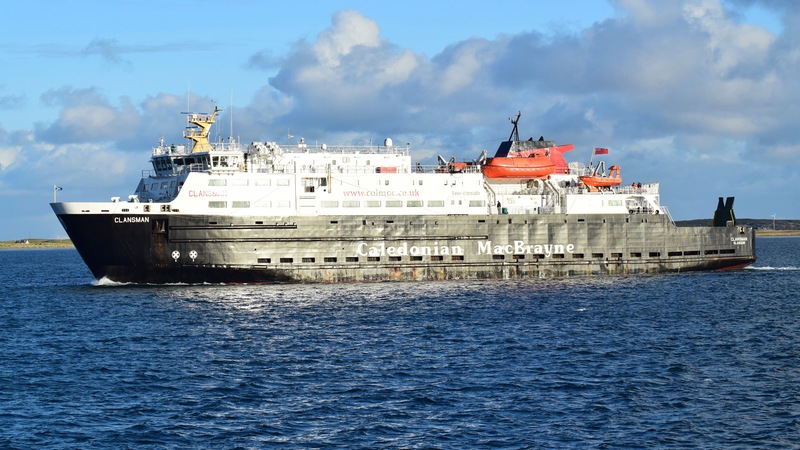 Storm Caroline led to the cancellation of Thursday’s ferry. Our decision proved to be a wise move – with no sailing until Saturday. 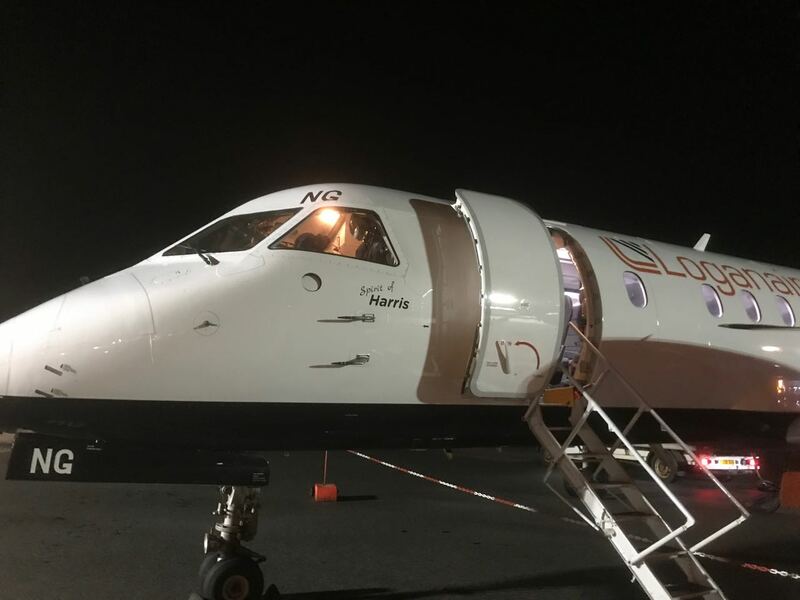 Loganair is facing its own challenges at present. They appear to be two aircraft down – both twin otters. Add to that on several occasions there has been poor visibility. 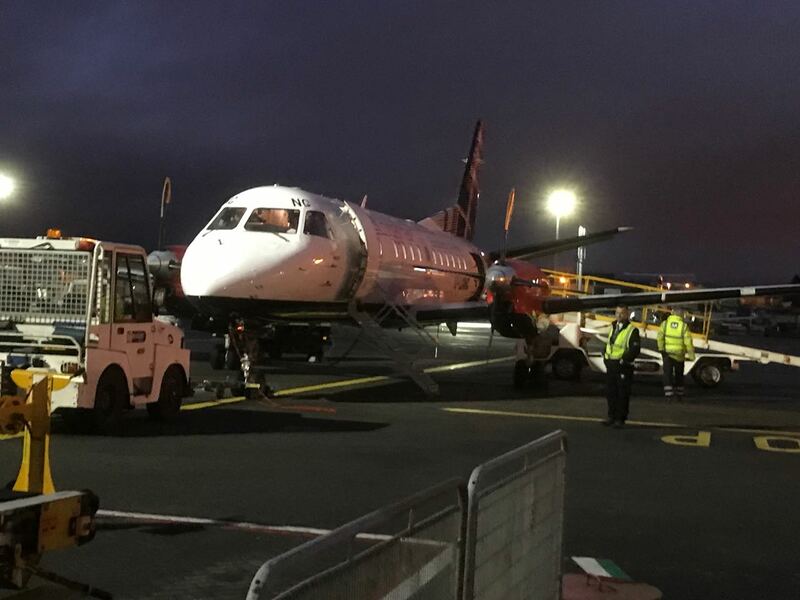 On some occasions aircraft have left Glasgow but been unable to land at Tiree. Thankfully we flew back on the Tuesday evening before the weather deteriorated. We were called to board the aircraft -a Saab- right on time. (The Saab 340 is larger and quieter than the twin Otter). It was windy on Tiree but we landed safely. Thankfully on Tiree we missed the worst of Storm Caroline. On Thursday, the day of the storm, the gusts only reached 63mph. On Friday we woke up to snow – perhaps only a sprinkling – but it was snow. As we discovered the South-West of the island had far more than a sprinkling. 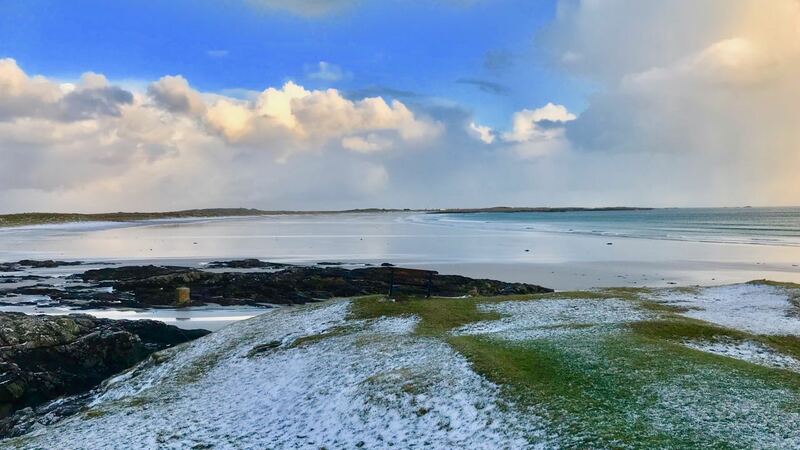 This is Life on Tiree – on and off the island.